Our staff includes talented artists and digital designers. If you're looking for a new brand mark, logo, or need printed materials, we can help! We'll also work with your printer to ensure you have a beautiful finished product. When family owned Country Cabins needs to market and showcase their quality barns and Amish craftsmanship, they come to SolTerra. 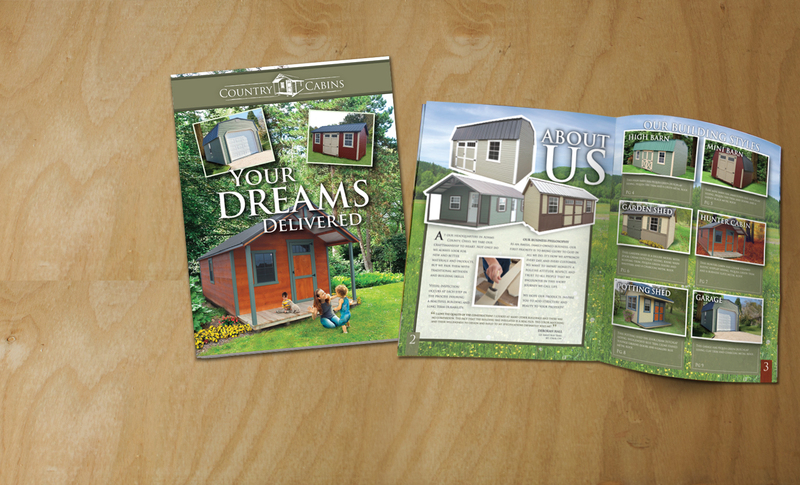 This 12-page brochure displays their craftsmanship at it’s finest, with photography, Photoshop work, and design completed by SolTerra.